The Santa Barbara County Sheriff’s Office received a report of assault with a deadly weapon on Embarcadero Del Norte during the early morning hours on Sunday. 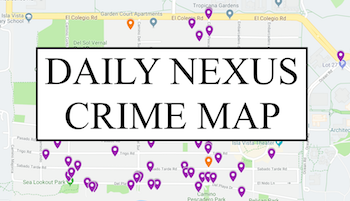 The report was made at approximately 1:45 a.m. and stated that three male suspects pursued a male victim from Abrego Road to Embarcadero Del Norte, where the victim was repeatedly kicked and severely injured. The perpetrators, two of whom were white and one of whom was Hispanic, all appeared to be college-aged and were wearing white t-shirts. All three were said to have fled the scene on foot and the SB County Sheriff’s Office is currently conducting further investigation into the incident. Any persons with additional information are encouraged to contact the County Sheriff’s tip line at (805) 681-4171 or online at www.sbsheriff.org/anonymoustips.html. The UCSB Police Department can also be contacted at (805) 893-3446. 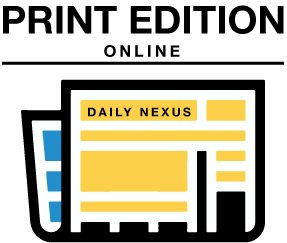 A version of this article appeared on page 4 of May 28, 2013′s print edition of The Daily Nexus.